Hiring I.T. professionals can be costly, time consuming and risk intensive. Purple Squirrel Group has the skills, expertise and experience to handle this for you while allowing you to focus on your business at hand. We build solid relationships with our clients. We get to know who you are, what you do, how you work, and who you like to hire. We also develop a strong understanding of your company culture and then utilize our screening processes to find that “Purple Squirrel”. 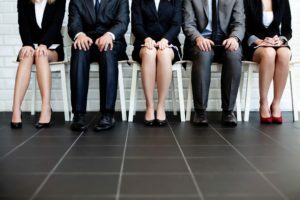 We interview all candidates, thoroughly evaluate their technical skills, and perform all screenings prior to showing their resume and representing them. As a result of this thorough screening process, we are able to guarantee all of our people whether in a contract, contract-to-hire or direct-hire position. We are committed to our client satisfaction and will do everything possible to make sure your needs are met so you can accomplish your goals. There is zero cost for us to source and recruit for you. CONTACT US - If you have an immediate or upcoming need that we can assist you with.